Our new range of corrugated steel garden beds are a lightweight alternative to Macrocarpa, and a chemical-free alternative to treated pine. 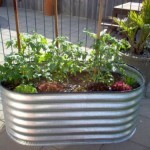 Create a great looking, easily maintained raised garden bed anywhere around your home. This model measures 0.6m wide x 1.2m long and is available in either 0.5m or 0.9m deep. Photo is for display purposes only and may not be of the same size garden bed. 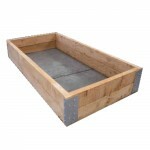 All raised garden beds are constructed from high strength steel and include a long life polymer lining. Incredibly easy to install and absolutely no assembly required. 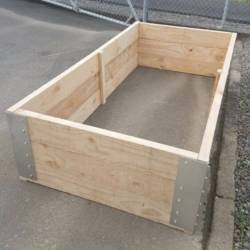 If the bed is to be placed on a lawn or garden we suggest digging in to the depth of the first couple of corrugations for added stability. A rolled top edge ensures there is no risk of cuts or scratches. Joins are riveted for long lasting durability. All steel garden beds are engineered and tested to support the weight of the soil and carry a 5 year structural warranty. Available in Mist Green, Cream or Zincalume finish. Sorry, these are only available for free delivery in the North Island. Please contact us for a quote if you are a South Island resident. Fill the first 2/3 of the garden bed with any material suitable for drainage, eg gravel, bricks, sandstone, broken terracotta pipes or similar material. 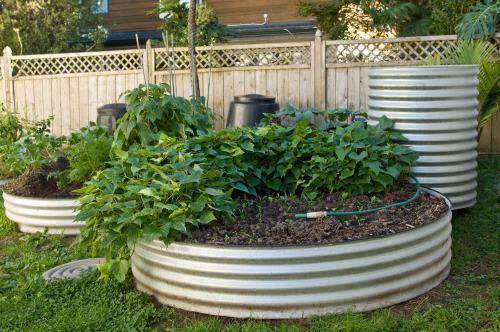 Once the drainage material has been added, fill with a combination of topsoil, compost, organic material or plant mix. 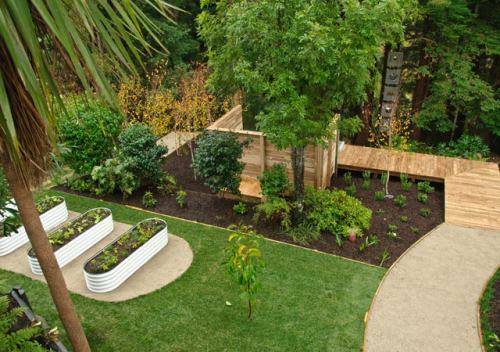 Add your plants and enjoy your raised garden!